Composed mainly of quartz, feldspar and mica, sand is the product of many finely ground rocks. The colour of sand is determined by its component rocks and can vary from near black to pink and yellow. Sand is constantly being moved by the water of rivers and seas. Constructive swells bring sand to the shore and destructive swells take it away. Acting as a veritable microclimate, sand is also home to a wide range of living organisms. Crabs, clams and beach hoppers are but a few of the more popular residents. Not every sand dweller is as popular though. Inhabitants such as the weever fish are cursed by surfers up and down the British shores for their stings. Who knew sand had so many secrets? Join us again next week for more insights into the salt world beneath your surf boards. 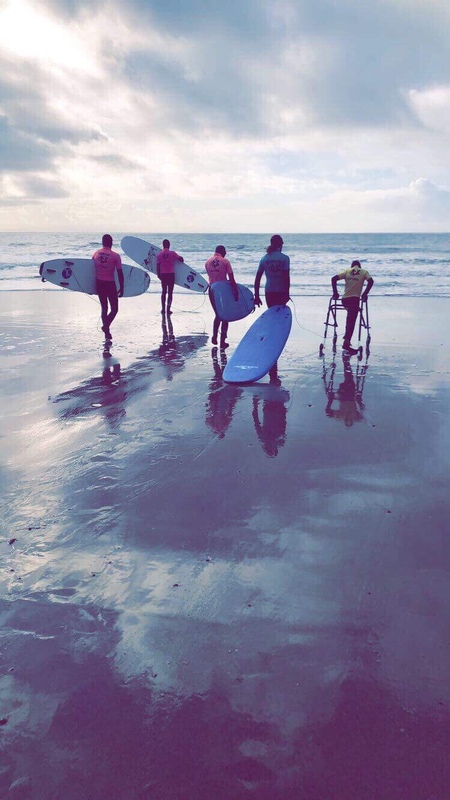 Adapted surfing, adaptive surfing, Disability surfing, gower surfing, inclusive surf, sand week, secrets of the sand, seeking saltwater, spring, surf, surf gower, Surfability U.K.
Visit our new Surfability page on Go Raise U.K. (here) to find out how you can help. Making surfing accessible to all is at the heart of Surfability U.K. CIC’s work. Any donation you make will be used to help keep surfing inclusive. Whether it’s your first surf or you’re looking to brush up on your surfing skills, Surfability have a session for you. As a fully adaptive and inclusive surf school, we aim to cater to all abilities and individual needs. Ready to get radical? Then get in touch!